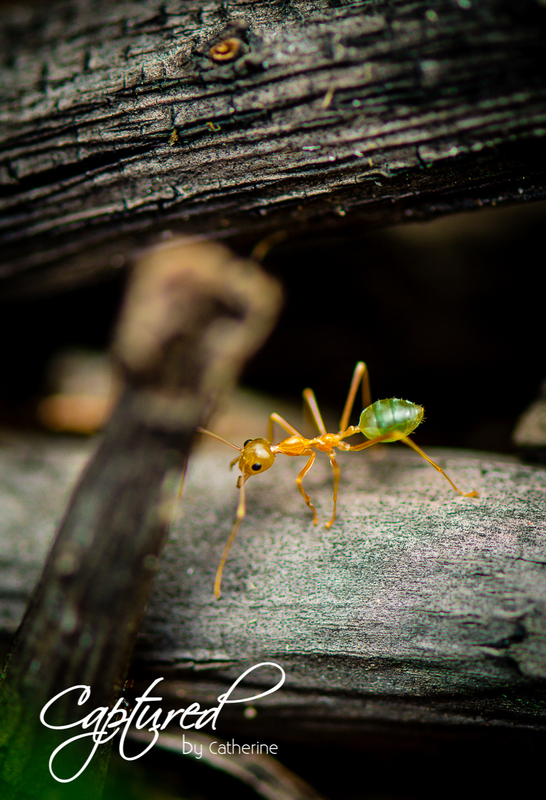 The green tree ant commonly called the Green Ant belongs to the ant genus Oecophylla (subfamily Formicinae). The ones pictured above is the smaragdina. Oecophylla smaragdina commonly found in the tropical coastal areas in Australia as far south as Rockhampton and across the coastal tropics of the Northern Territory and down to Broome in West Australia. 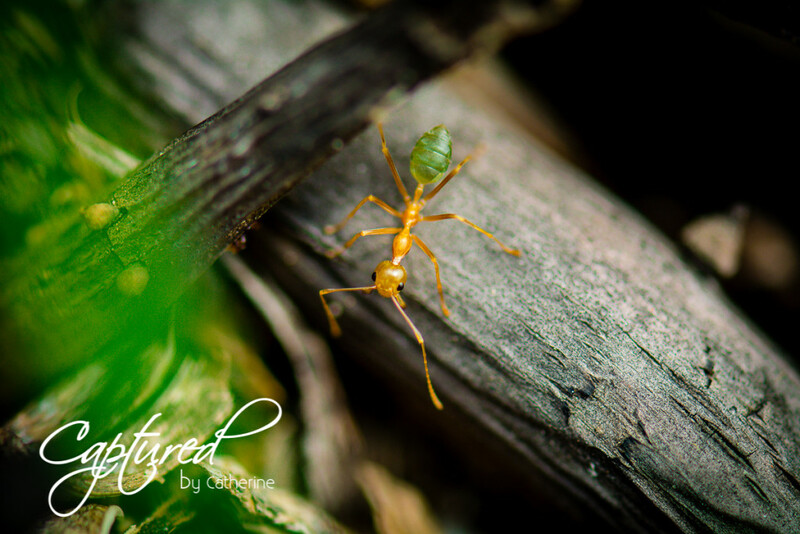 Green ants are also often referred to as weaver ants because of their ability to weave leaves together to form nests bound with silk produced by their larvae. 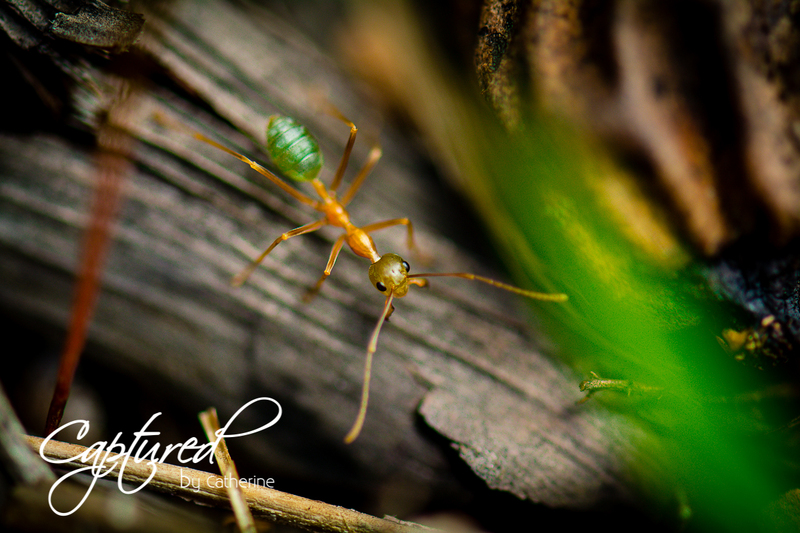 Most of the nest construction and weaving is conducted at night with major workers weaving towards the exterior of the nests and minor workers weaving within the interior. 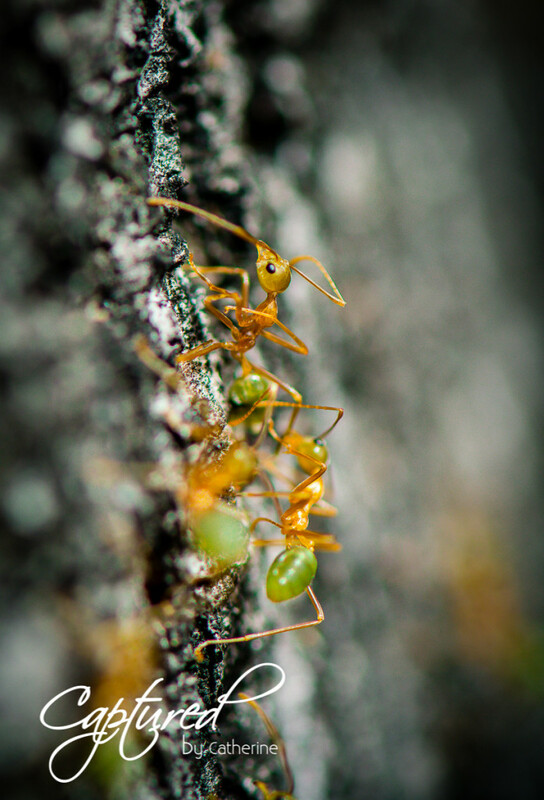 A mature colony of green tree ants can hold as many as 100,000 to 500,000 workers and may span as many as 12 trees and contain as many as 150 nests.